FITS ALL BBC ENGINES THAT ARE EXTERNAL BALANCED, USING A 168 TOOTH FLYWHEEL. SHOULD FIT MOST ALL ONE AND TWO PC. RMS BBC CRANKS. NOTE: MUST USE ARP-100-2801 FLYWHEEL BOLTS WITH THIS FLYWHEEL. 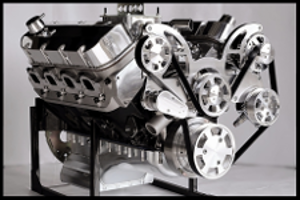 Engine Type: BBC V-8 EXTERNAL balanced 168 tooth. This plate HAS a weight on it. 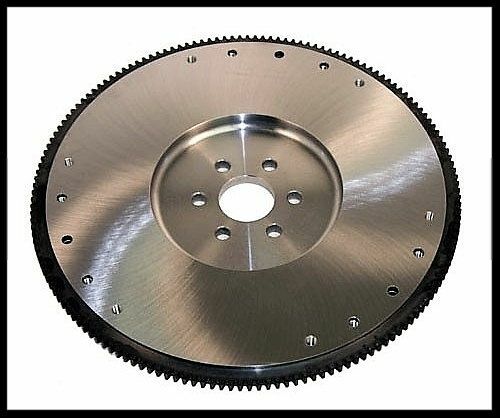 This is a direct replacement for SBC 168 tooth EXTERNAL/WEIGHTED flywheels used on MANUAL TRANSMISSION. Flywheels WITHOUT a weight on them are referred to as neutral or internal balanced. Flywheels WITH a weight are referred to as external balanced. We have the best price you will find on this item, as well as the lowest shipping cost.